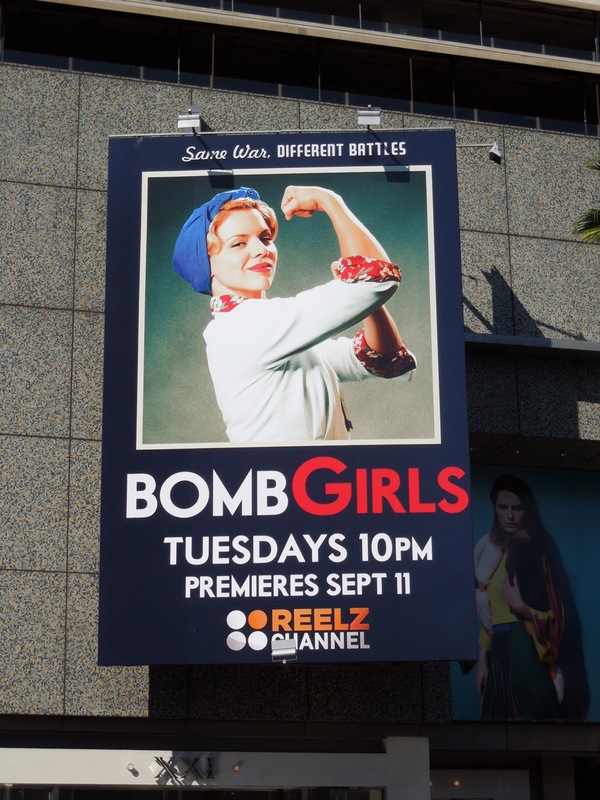 For a show called Bomb Girls set in a World War II munitions factory it's no wonder they opted to pay homage to J. Howard Miller's iconic 1943 American wartime propaganda image 'We Can Do It' for their series debut on Reelz Channel. 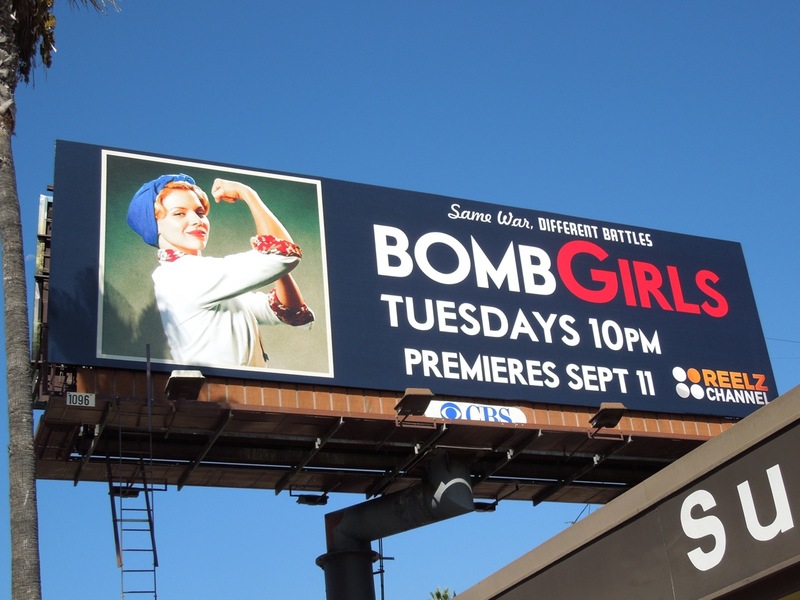 This cool billboard featuring Ali Liebert as 'Betty McRae' at Victory Munitions, striking that familiar pose, was snapped along Sunset Boulevard on September 7, 2012. 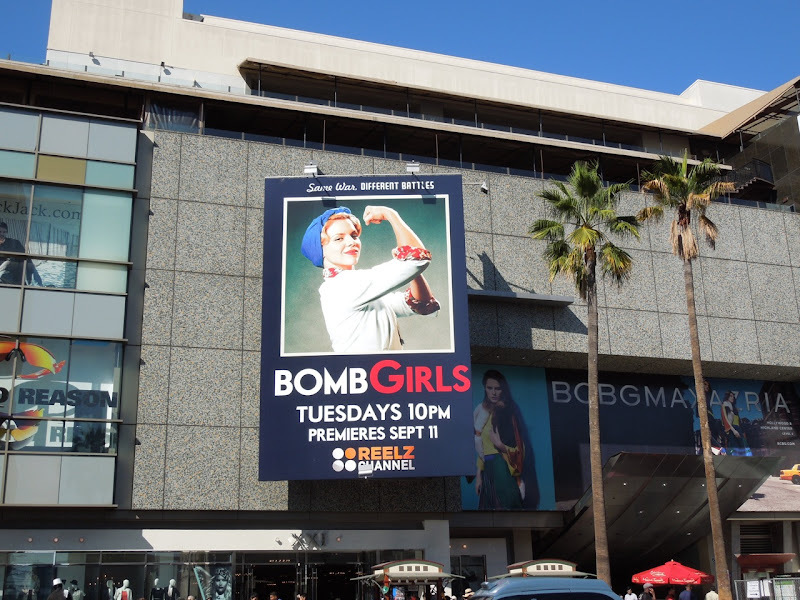 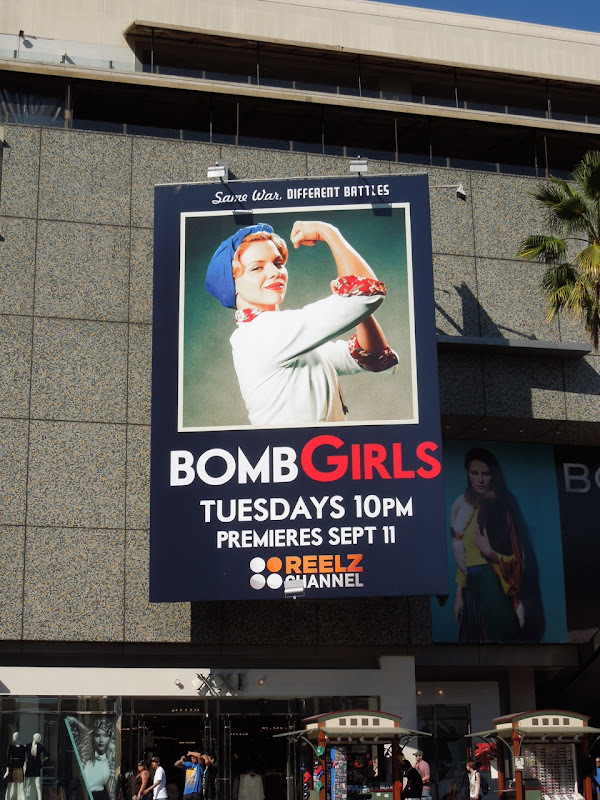 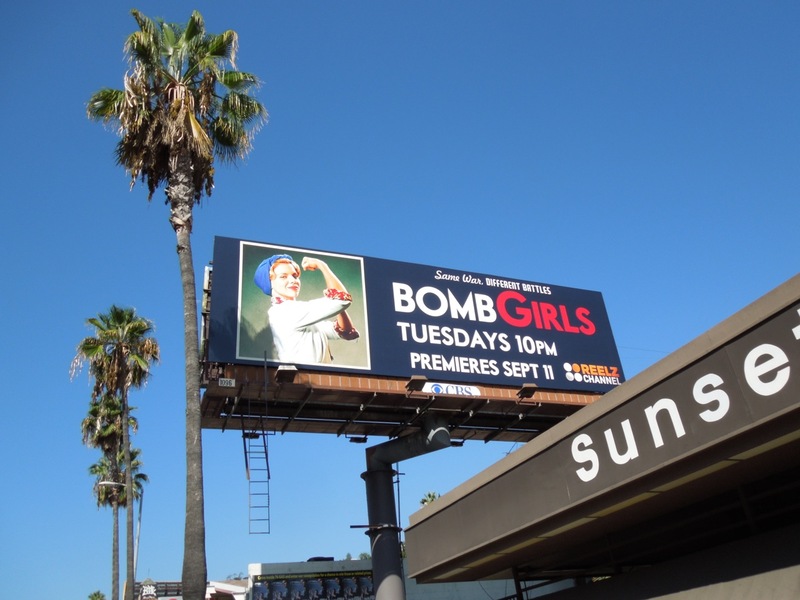 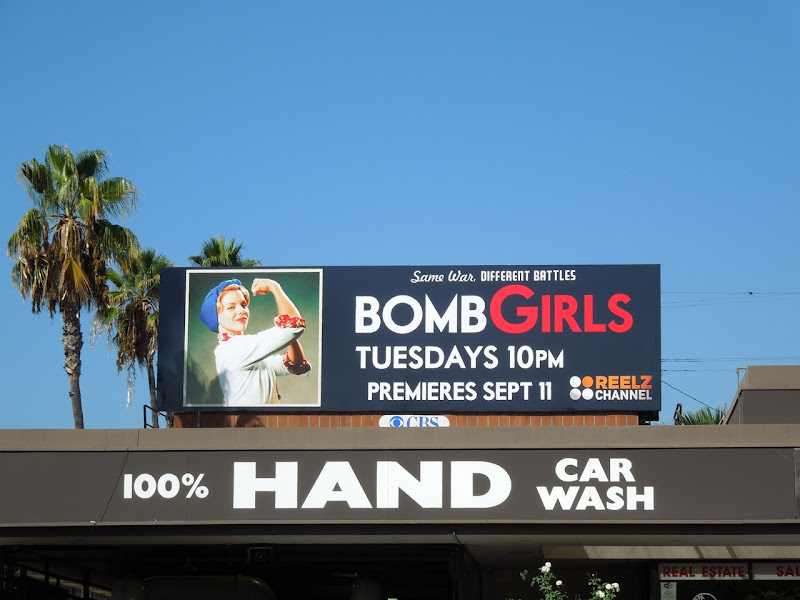 UPDATED: This eye-catching billboard for Bomb Girls has proven quite popular here at Daily Billboard, so when another version was spied along Hollywood Boulevard we couldn't help but share it with you all. This portrait creative was snapped above the Walk of Fame in the heart of L.A.'s tourist hot-spot on September 30, 2012. 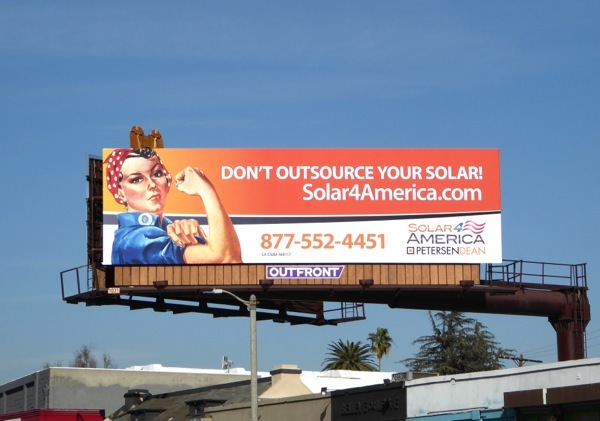 UPDATED: Here's another billboard utilizing the 'Rosie the Riveter' imagery, this one for solar panels (they've also used Uncle Sam before), snapped along La Brea Avenue on January 28, 2016.